Unity Gain Mixer in a compact 2hp. 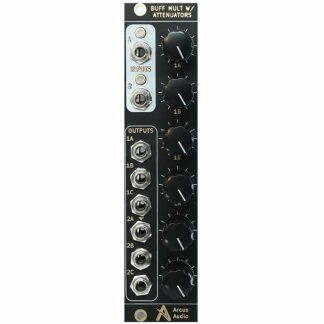 Dual 3:1 unity gain summing mixer can also act as a single 6:1. Bi-color LEDs for each mix. Passive Multiple 2HP width. 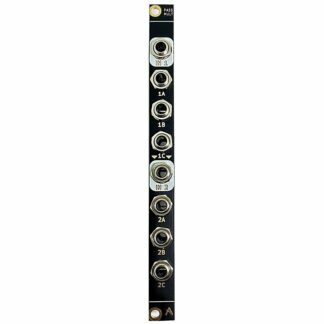 Inputs 1 and 2 are normalized so the module can act as a 1:6 multiple or by patching different signals into inputs 1 & 2 the module will act as a dual 1:3 multiple. 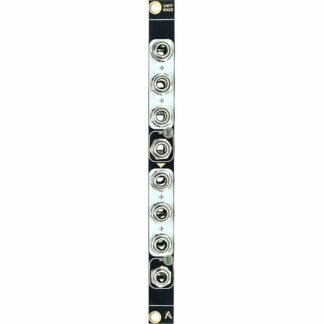 Buff Mult with an Attenuator for each output channel. Inputs 1 and 2 are normalized so the module can act as a 1:6 multiple or by patching different signals into inputs 1 & 2 the module will act as a 2:3 multiple. © Arcus Audio 2019	| Theme design by Deuce Themes.